Iran’s legislation watchdog, the Guardian Council, has rejected a bill on Iran’s accession to the Combating the Financing of Terrorism (CFT) convention, which had been passed by the Parliament. Guardian Council Spokesman Abbasali Kadkhodaei said in a Sunday tweet that the CFT bill, one of the four bills proposed by President Hassan Rouhani’s government to get Iran out of FATF blacklist, had flaws and ambiguities including violation of religious rules (Sharia) and the Constitution. The Guardian Council has sent the bill back to the Parliament, asking it to make the revisions and submit it again. Iranian lawmakers had passed the bill on October 7, 2018, with 143 votes in favour, 120 against and 5 abstentions. The Guardian Council’s rejection of the CFT bill comes as the Financial Action Task Force (FATF), an international group that sets standards on fighting money laundering and financing of terrorism, announced on October 19 it once again extends the deadline for Iran to complete reforms to meet conditions for getting out of the body’s black list. However, the FATF said it was disappointed with Tehran’s failure to implement a big part of the action plan. The statement said Iran is expected to quickly take steps to make reforms to enhance the way it counters money laundering and financing of terrorism. 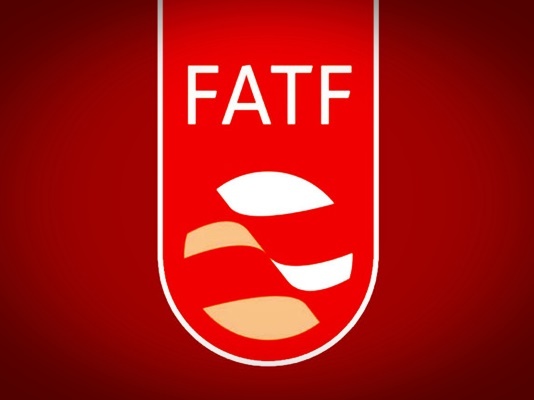 FATF had previously given Tehran until October to bring its laws against money-laundering and funding of terrorism up to its guidelines. Back in June, 2018, members of the Iranian parliament discussed the CFT accession bill, which is one of the four bills proposed by the government on Iran’s adopting the standards of the Financial Action Task Force (FTAF), but shelved it for two months. The Parliament earlier approved a bill on the country’s accession to the United Nations Convention against Transnational Organized Crime, also known as Palermo Convention, but the bill was rejected by the Guardian Council. Then the Parliament insisted on its decision, and the case was referred to the Expediency Council to make the final decision. The same thing happened to an amendment to the anti-money laundering law of the Islamic Republic, which was proposed by the government, approved by the Parliament, but rejected by the Guardian Council. This one also needs the Expediency Council’s approval. Meanwhile, the fourth bill, which was an amendment to the country’s law against financing terrorism, was approved by the Parliament and the Guardian Council, and signed into law by President Rouhani. Iran’s accession to FATF has been the subject of heated debates in recent months. Opponents believe FATF would limit Iran’s ability to support allies in the region, some of whom recognized as terrorist entities by the US and some of its allies. This is while proponents of Iran joining FATF fear Iran’s inclusion on the body’s blacklist could make it impossible to salvage the 2015 nuclear deal following the US withdrawal. European countries have in recent weeks been working to create a special mechanism to facilitate trade with Iran, ignoring US calls to hamper economic relations with Tehran.